The Republic of Madagascar is an independent state situated in the Indian Ocean off the south-east coast of Africa, separated from the mainland by the Mozambique Channel. 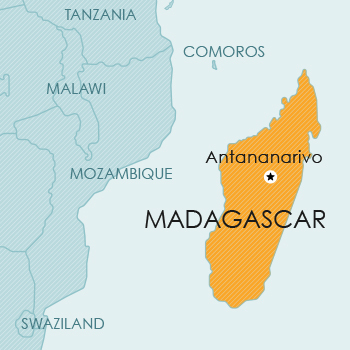 Madagascar is a member of the Paris Convention, the Madrid Protocol and the WTO/TRIPS. Trade mark applications may be filed as national applications, in appropriate circumstances claiming convention priority in terms of the Paris Convention, or the country may be designated in international applications filed in terms of the Madrid Protocol. Provision is made for the registration of trade marks for goods and for services, and for collective marks. Madagascar is a member of the Paris Convention, the PCT and the WTO/TRIPS. Patent protection is available via a national filing. Patent protection may also be obtained by way of a national phase application based on an international application under the PCT designating Madagascar. Madagascar is a member of the Paris Convention and the WTO/TRIPS. Design protection is available by way of a national filing. Madagascar is a member of the Berne Convention and the WTO/TRIPS. databases or compilations of data. Currently, no legislative provision for plant breeders’ rights or other sui generis protection for plants is available in Madagascar.